for your iPhone, iPod and iPad now! HandRight is a Handwriting App providing FUN exercises and activities in the FIVE key areas that work together towards good handwriting. Unlike other handwriting apps which focus on purely letter recognition and formation, this app helps your child develop a multitude of skills that work together towards more functional and efficient handwriting. The exercises and activities in the HandRight App are designed to encourage handwriting in a fun and developmental way. There are FIVE key areas. Tap on any of the cogs for more information about that area along with helpful hints and signs to look out for. 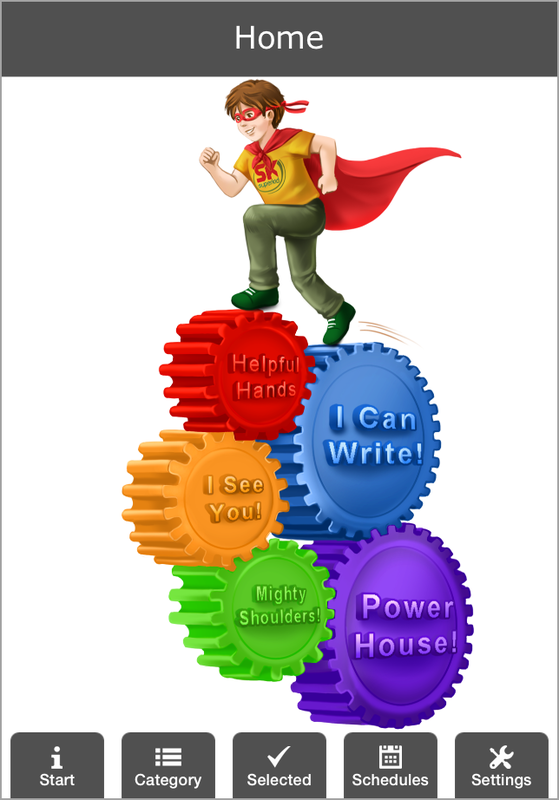 As the home screen suggests, these five areas work as a cogwheel to build on handwriting skills. There are 10 ‘tried and tested’ activities under each key area to choose from. Develop your child’s handwriting by choosing activities that appeal to you and your child and add them to your selected folder. A graphic and explanation of each activity. 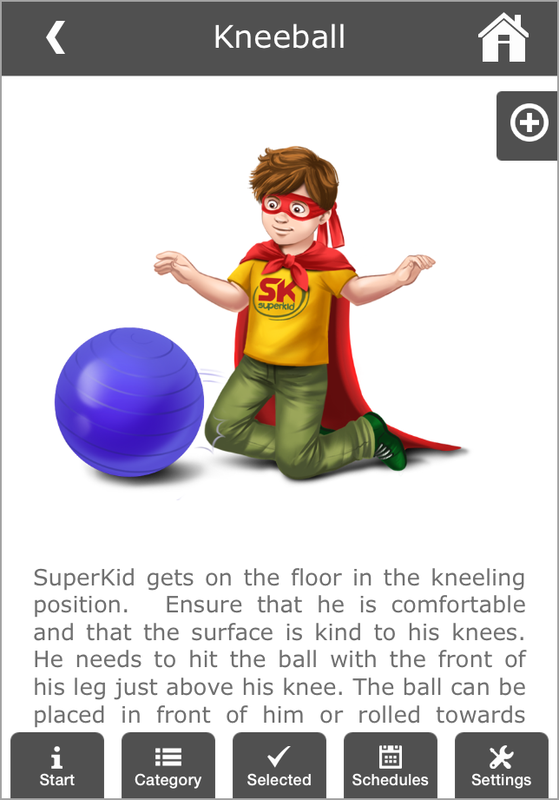 Each activity is explained and contains a loveable graphic featuring ‘SuperKid’ to get your child motivated. Use the graphic as a visual cue for your child! Some activities come with useful printables too! 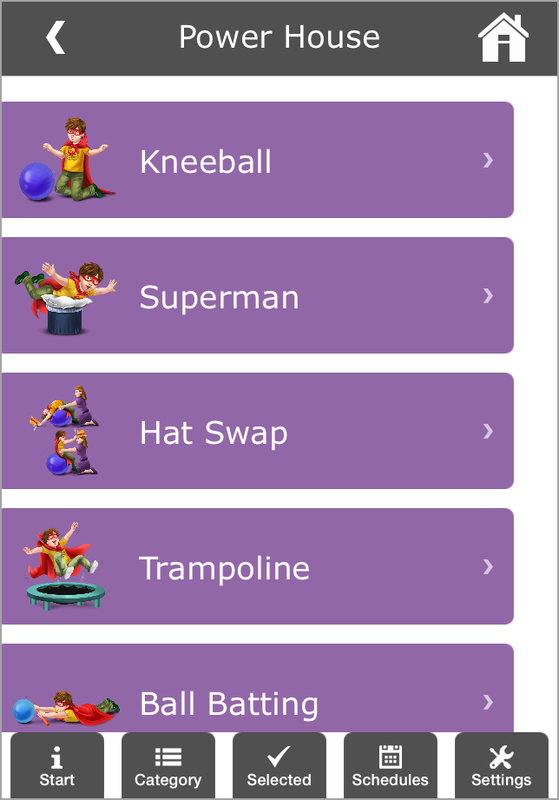 Add the activities that you have selected for your child and create a schedule. 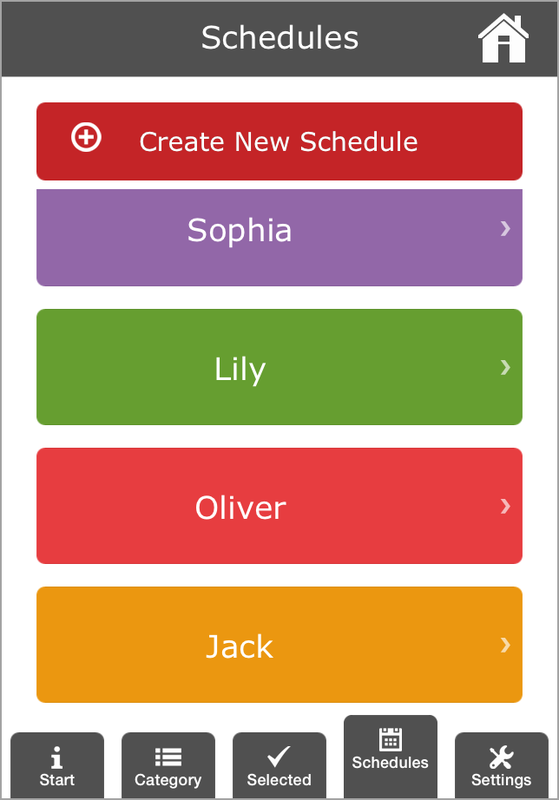 You can create a schedule for every child in your household. 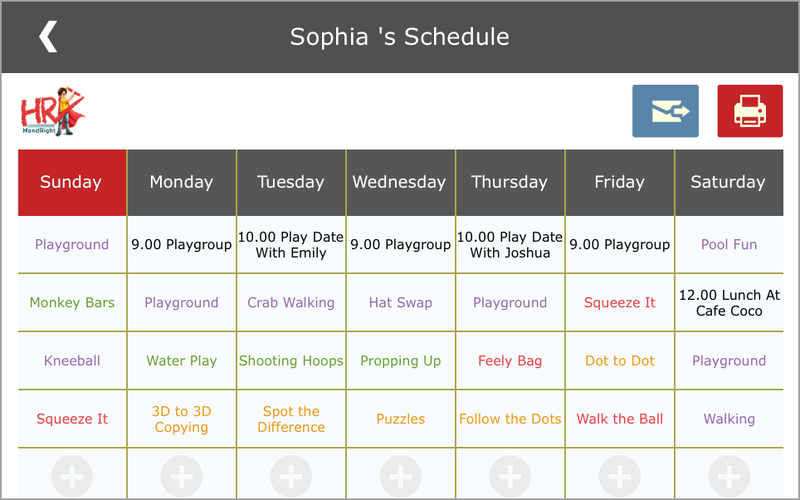 The weekly schedule is a great tool to add your child’s additional activities which they are involved in e.g. Ballet or Martial Arts. You can therefore have one integrated weekly schedule drawn up for each child and create as many individual schedules as you want. Schedule the selected activities for the week ahead. Add in any other activity you have planned, Print and place it on your notice board. We are really excited about the App and hope that it would benefit many children and help parents, therapist and people engaging with children work actively with their child to develop handwriting.